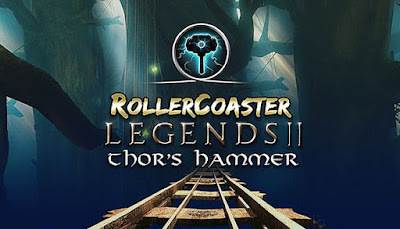 RollerCoaster Legends II: Thor’s Hammer is developed and published by WarDucks. It was released in 5 Jun, 2018. RollerCoaster Legends II: Thor’s Hammer transports you to the mythical land of Loki and Thor. Travel to Asgard on the rainbow Bifr\u00f6st before flying through the home of the Elves in Alfheim. Descend into Helheim, home of the dead, and zip through the cold winter weather of Niflheim while on a high-speed rollercoaster chase after the thief of Thor’s hammer, Loki.